Stomperoo is a hybrid mix of musical genre, infusing folk, blues and jazz to piece together a highly unique sound. A unique sound that will amuse, stimulate, inform and satirize come Cully Fest on the 17-19 November. Stomperoo’s history in the music business hits all the notes, spending time with the likes of Ike Isaacs (Stephane Grapelli’s guitarist), Tommy Emmanuel, Larry Muhobeac (Elvis Presley’s pianist), Long Way To The Top, Col Joye, Normie Rowe as well as conductor Dobbs Franks. Influenced by Arlo Guthrie, Mose Allison and Gergie fame, Stomperoo is a beautiful blue jazz baritone hybrid guitar and voice. 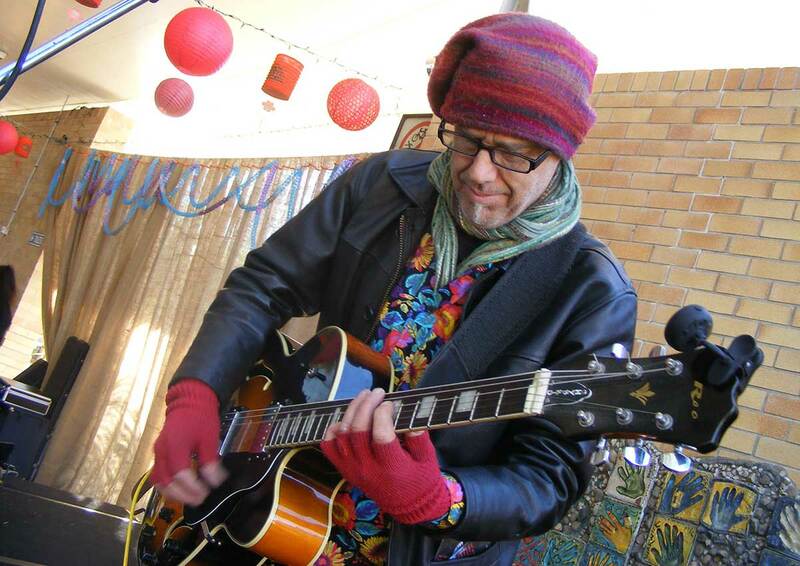 Stomperoo combines blues, roots, folk, spoken word, stand up comedy and jazz and Roo Friend says he played the guitar since a young age. “I got into ukulele as a kid then into guitar, and met the unlikely named Chris Christofferson at high school, who was a musical genius from Utah,” Mr Friend said. “On one day in 1970 at age 13 he played me “Purple Haze” on a Stratocaster, “Sunshine of Your Love” on the drum kit, “Martha My Dear” on the piano and blasted me with “In A Gadda Da Vida” on the biggest stereo I’d ever seen. It was a religious experience. “I write about these topics because no one else does and the subject matter isn’t marginal, like a lot of folkloric blues,” he said. Stomperoo will be on show at the 2017 Cully Fest Outback and Aborigonal Folk Festival from the 17-19 November at the Toowoomba Showground’s. For your chance to see Stomperoo performing with Jack Du Voisin on sax, and occasionally with Jim Toomey from The Tourists (Annie Lennox Band) on drums, get your tickets now. Great ticket options on sale now from full season passes, full day pass and for those only wanting the music there is a Music Only Pass. BOOK ONLINE NOW and SAVE!